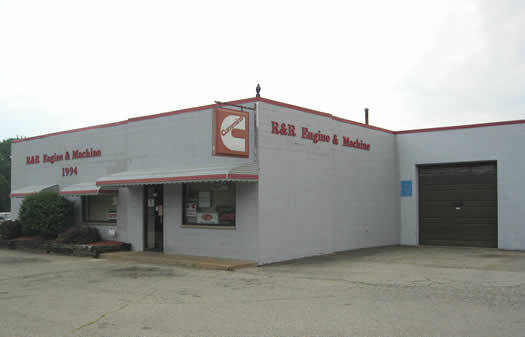 R&R Engine and Machine was started in 1966 with three employees and a 2000 sq. ft building. The original name was R&R Tool and Machine, which manufactured and machined specialized tooling for the automotive industry. In 1978 the fuel shop and a four bay garage was added making a parts department, truck shop, machine shop, and fuel shop all under one roof. Throughout the years, the business outgrew the existing building many times and with a recent expansion of 7800 sq. ft, we now have 16 drive-in service bays and an engine dyno, bringing the total sq. ft to 30,000. The company is an authorized OEM engine dealer for nineteen different manufacturers including a recent full Cummins Authorized Dealer and currently has 30 employees. R&R Engine and Machine is an active member in the AERA and participates in the yearly expositions. The company is also an active member in ADS (Association of Diesel Specialists) and attends their annual International Convention and training classes. The company is a member of MAPSA (Midwest Automotive Parts and Service Association) in which Bryan is a member of the Board of Directors. This Association meets with fellow peers and Congressmen at the yearly Legislative Summit in Washington D.C. to promote and protect our industry.